As the title of this post indicates, I'm still passionate about knitting just as much as when I first learned to knit several years ago. 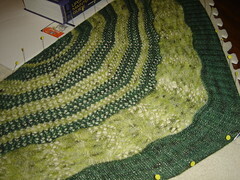 Even with my busy schedule, I've now finally learned to manage my knitting time, and get completed FO's. 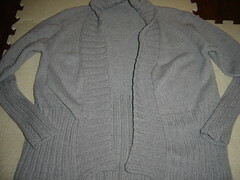 One recent FO in particular I'd like to share, is a test knit I completed for Kirsten Kapur, designer of Through The Loops patterns. 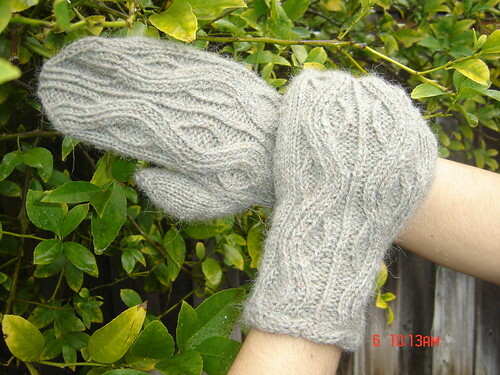 I'm am a huge fan and follower of Kirsten's because she always designs very beautiful patterns and out of all the designers I've knit from, her patterns are always clear, concise, and very well structured. 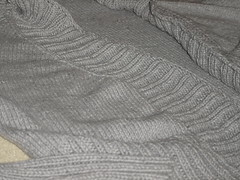 Here is Montrachet, knit with yarn from my stash, which I'm happy to say is shrinking, as I've been really good about using my stash lately! I have a number projects in the works this year, so please do stop by and check in to see what those are as I'll be posting them to my blog. I know the blogging universe isn't as visible present day with all the Facebook and Instagram feeds, but I'll be using my personal site as the primary release of things to come. Happy New Year everyone! Thank you to those that visit my blog, and please do drop a comment if you can, I'd love to hear from you! Yarn: Hazel Knits Artisan Sock Yarn in Nickel, Wool Candy Meringue Merino Sock in Lucy. 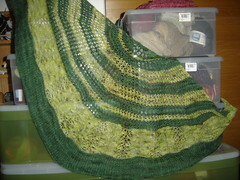 I've been quite busy working and trying to get other projects done. As I've said prior, I've had a secret project that I've been working on, or rather really a number of private ones. Each one has progress, but none yet ready to really share. To elaborate a little, I've been writing, and am working towards a complete manuscript, hopefully one day I'll have something in published form. I've also been putting together a business plan for my Etsy site, which I plan to have ready by summer time. I'm pretty excited about the Etsy endeavor, I'm really going to start it up. 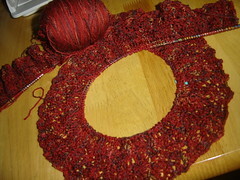 I'm also working on more patterns of my own design. 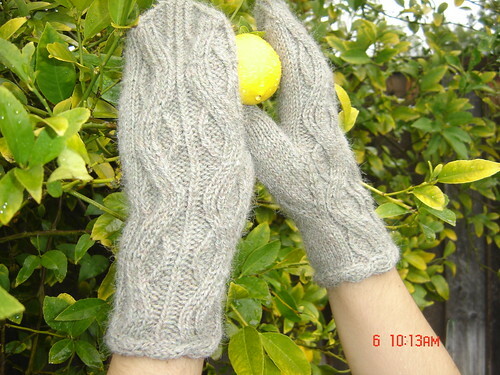 The designing for me takes time, first because I have to form the image of what I want to make and then because everything else gets in the way, and of course, knitting as well. 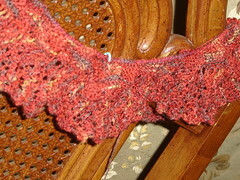 Oh, and I have did some test knitting, which I do enjoy, for some of my favorite designers. 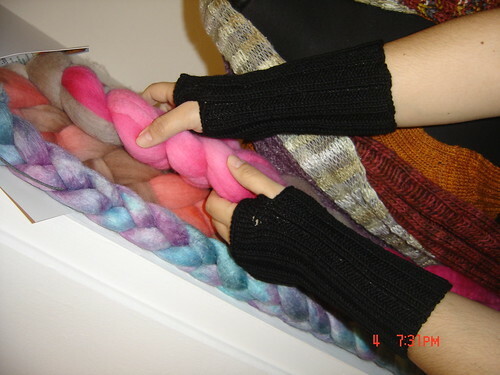 One I can share, are the Clepsydra mittens from Through The Loops Kirsten Kapur. 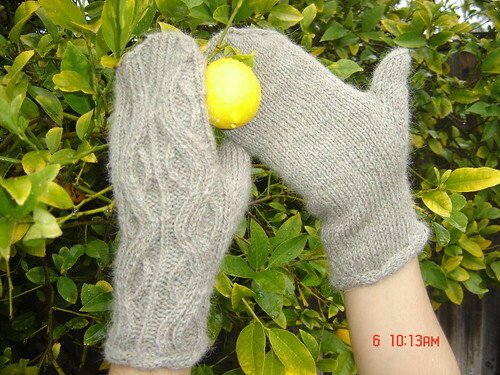 These are so pretty, and I really enjoyed knitting them. I can't wait to wear these out to a Reno adventure! 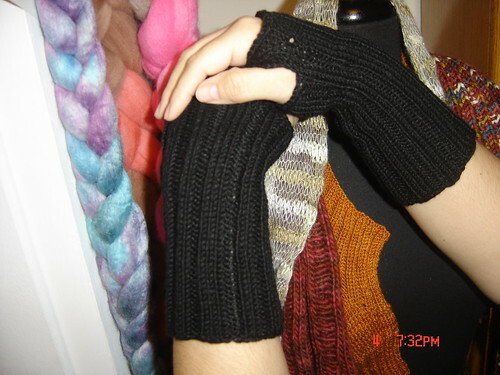 And I had made these for Svendel in the Twilight Breaking Dawn swap last year, and loved them. So I made me a pair, just cause I couldn't get them off my mind and it counted as Divination homework for the HP Knitting and Crochet House Cup group on Raverly. 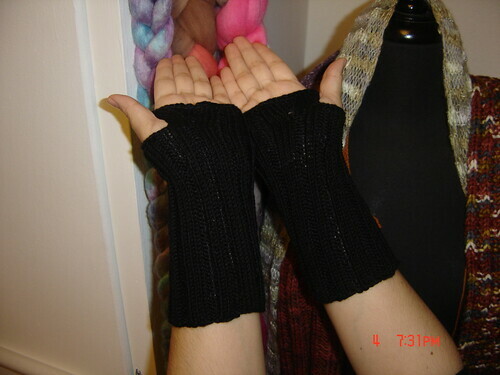 They are "Bella's Fingerless Gloves". 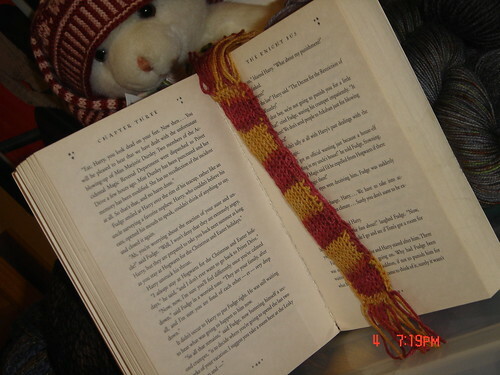 Oooh, and the magical things I've been making, pretty much all Harry Potter themed...here's a tidbit to share. 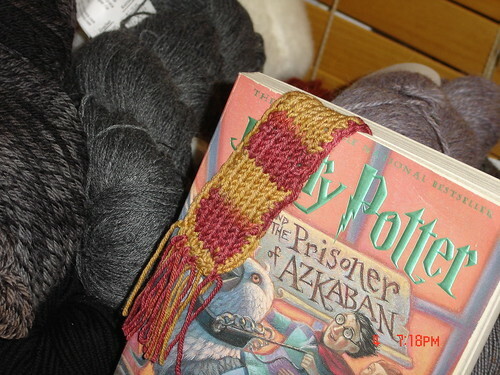 This was homework for the Hogwarts A Little Bit of Everything on Ravelry, the History of Magic Gryffindor Reducio Scarf bookmark. I love making all things magical!